There is a great deal of interest in how much sleep people should be getting. Some believe that sleep is a waste of time and want to sleep as little as they can to get through the day. Some have learned how many hours of sleep they need in order to function at their best. Great athletes have learned that maximizing performance is not simply a product of training during the daytime. They have a learned that rest and sleep are critical. Athletes can teach us a great deal about the importance of sleep. Prior to the Wimbledon Final this year, Roger Federer was asked how he would prepare for Centre Court. His response was short and to the point — his preparation would prioritize sleep. He noted the importance of rest to maximize his cognitive abilities and that sleep is essential to play creative and inspired tennis. Federer then won his 11th Wimbledon Final and currently holds the record of 19 Grand Slam singles titles. Professional athletes often leverage the pre-game power nap. Two-time NBA World Champion Warriors’ Stephen Curry is known for his pre-game routine on the court, but he also makes sure to get a pre-game power nap or else has said he feels out of rhythm on the court. “When you wake up from a nap, you know what time it is, you know it’s time to get ready and get focused and go to the game,” says Curry. Meanwhile, Splash Brother Klay Thompson also takes a calculated pre-game nap “just to get my mind right, get a little rest, maximize your energy for the game.” Soccer phenom Lionel Messi also strategically takes a pre-game nap, and on non-game days still opts for a short power nap after daily training. 23-time Grand Slam champion Serena Williams advocates high quality sleep particularly given frequent travel and sleep deprivation. She notes “when I’m on the court and I haven’t had enough sleep, I just feel sluggish…sleep is really powerful and quality sleep is crucial to performance.” Serena underscores the importance of high quality rest and recovery, and that her bed and mattress can impact the quality of her sleep. Five-time Super Bowl Champ Tom Brady is a seasoned pro at optimizing his sleep environment and avoids letting the bedroom become the all-too-common tech cave. His sleep game plan includes setting a regular sleep schedule, setting a time to power down devices, and banning technology from his bedroom. This pro-sleeper ensures his room is cool at 65 degrees, dark, clean, and quiet. In the 373 days leading up to the Rio Olympics, Michael Phelps keyed in on his sleep. He monitored his sleep daily obtaining 7 hours and 36 minutes per night and this duration became his sleep target while in Rio. Importantly, adequate sleep wasn’t just part of the pre-competition routine Phelps turned to the night before races — it was the strong foundation of adequate sleep that he established long before he won an additional 5 gold medals in Rio. Phelps now holds a record total of 23 Olympic gold medals. The Rio Olympics swim finals were uniquely scheduled to occur between 10 PM to 12 AM local time. This called for athletes to perform their best at the time when they are typically fast asleep! This was a challenge for athletes who had to learn to adjust their schedules because the qualifying rounds were sometimes in the morning, and finals in the evening. This was mastered by Katie Ledecky who won 5 gold medals! Several countries devised strategic body clock adjustments, shifting sleep schedules and training schedules gradually towards these late hours in the weeks leading up to the Olympics. Furthermore, NFL teams such as the Ravens, Rams, and Giants have implemented various travel approaches for playing in London for the NFL International Series. Some teams have shifted their sleep schedules prior to flying to London, while other teams have strategized to keep their body clock on their home U.S. time zone. 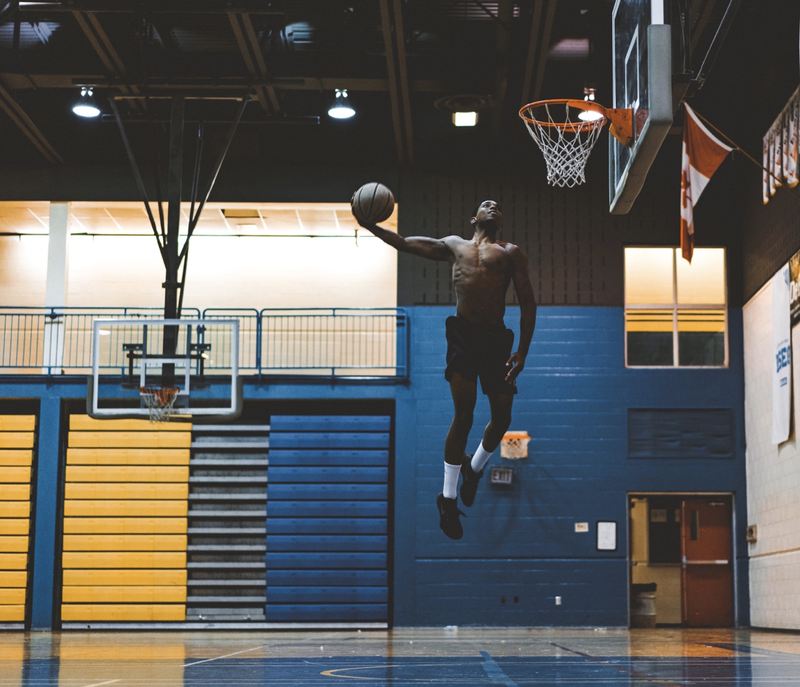 Additionally, NBA teams playing the NBA Global Games series have also started to search for ways to minimize jet lag and maximize performance once they touch down and hit the floor in another country. Sleep is important in order for all of us to function at our best and to maintain our health, no matter what we do. The amount of sleep each of us needs is unique, and the National Sleep Foundation and the American Academy of Sleep Medicine have published recommendations for each age group (1, 2). World class athletes have discovered that proper sleep must be prioritized in order for them to perform at their best. The entire population can benefit from what elite athletes have learned about maximizing rest and recovery. Cheri Mah MS is a research fellow at the University of California San Francisco Human Performance Center and advisor to elite athletes and professional sports teams in the NFL, NBA, MLB, and NHL on sleep and performance. 1. Hirshkowitz M, et. Al. National Sleep Foundation’s updated sleep duration recommendations: final report. Sleep Health. December 2015. Volume 1, Issue 4, Pages 233–243. 2. Consensus Conference Panel, Watson NF, Badr MS, Belenky G, et. Al. Recommended Amount of Sleep for a Healthy Adult: A Joint Consensus Statement of the American Academy of Sleep Medicine and Sleep Research Society. J Clin Sleep Med. 2015 Jun 15;11(6):591–2. Cheri Mah, Research Fellow specialized in sleep and performance in elite athletes. UCSF Human Performance Center. Stanford University. Sports advisor.